Much of the hype surrounding the Galaxy S III is well deserved?the phone comes packed with cool features, including its voice controls, gesture controls, and multimedia-sharing tools. 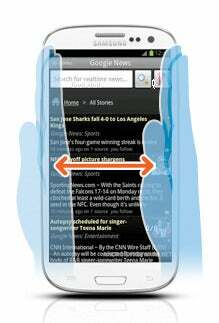 However, your Galaxy S III has some lesser-known features that could be more useful than its headline-grabbing capabilities. And, despite what Samsung's marketing campaign may have you believe, not all of these features are specific to the Galaxy S III?some are available, often via downloadable apps, on many high-end Android devices. Read on to learn 15 ways you can get the most out of your slick new smartphone. The Samsung Galaxy S III supports smart gestures. But one thing Siri can't do is control the iPhone's camera?unlike the Galaxy S III's voice controls. When you enable the voice controls for the S III's camera settings (settings > language and input > voice command for apps > camera), you'll be able to say "Shoot," and the camera will automatically capture a snapshot. If you're in a location where a ringing phone is unacceptable, you could be out of luck?unless you've set up custom vibration patterns for certain contacts. Go to sounds > device vibration > create, and scroll to the bottom. 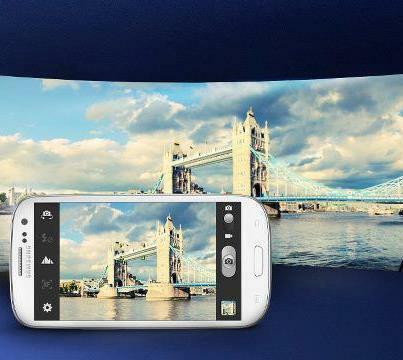 The Galaxy S III's panoramic mode. When you're in the camera, just switch your shooting mode to panorama,and you can pan across some gorgeous scenery as the Galaxy S III goes to work, snapping the photos you need and stitching them together to make a panoramic image.